WATCH [CC] - JukinVideo's Top 100 Viral Videos of 2018! 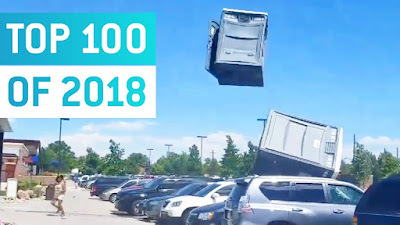 JukinVideo on YouTube channel's Top 100 collected the best videos from this year and are ready to serve them up to you. From bear attacks to creepy clams, playful pranks to kid catastrophes and everything in between, check out the top 100 for the silliest, craziest, and most relatable videos of the year. JukinVideo is the leading viral video community channel dedicated to showcasing the hottest UGC videos from across the web. JukinVideo love videos and find the best ones to share with you here, from fail videos to ice bucket challenges, and soccer tricks to a baby reacting to Katy Perry's Dark Horse. The JukinVideo team scours the web 24/7 to find the latest trends and hottest videos.